Do Not Call may prevent those pesky phone solicitations. 1. How Long Does It Take to Find Out Your Appeal Status for Social Security Benefits? If you're getting unsolicited calls from credit-card telemarketers, you can take steps to quiet your phone and enhance your peace of mind. The same process is available no matter the reason for the call; if you're being asked to sign up for a new card with a lower interest rate, or buy or sample any product or service. After passage of the Do Not Call Implementation Act in 2003, the Federal Trade Commission opened the Do Not Call Registry. 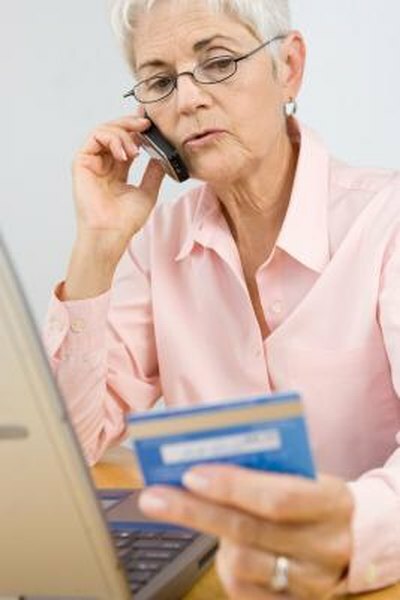 This afforded consumers an opportunity to prevent incoming telemarketing calls by adding their names to a national list. The law bars telemarketers from contacting anyone whose name is on the list for at least 31 days. If a company still calls, you can file a complaint with the FTC, which is supposed to follow up with fines and injunctions against the violator. Adding your name to the Do Not Call Registry is a simple matter of calling 1-888-388-1222 and giving your name and number to a representative. Alternatively, you can go online to add your name to the registry at DoNotCall.gov. By either method, you can register up to three numbers. The law originally kept numbers on the Do Not Call Registry for five years. As of early 2008, an amendment to the law allowed for permanent registration, which only the original registrant can cancel. You can register landline or cell phones. In addition, a federal law in place as of early 2013 protected cell phone numbers from automatic dialing, a customary telemarketing strategy. If you don't mind telemarketing calls in general, but have a specific solicitation that you want to avoid, you can call that company and request they put your number on their own do-not-call list. This is not always effective, however, as the company may drop your registration after a certain period or ignore it altogether. You would then need to file an FTC complaint with proof of your original contact and of the company's registration of your number. There are several loopholes in the law that a credit-card telemarketer may employ. Do Not Call applies to residence phones, not businesses. The law also specifically exempts any company to which you've sent an application or contacted within the last 31 days, or a company with which you've had a business transaction within the last 18 months. As a result, you may receive a solicitation from a credit card issuer, if you've used or made a payment toward a card from an affiliate or parent company. The law also exempts non-profits -- such as credit card "consolidation" services -- as well as companies claiming to be conducting a survey or opinion poll.